Moles and Voles are pesky critters that will tear your yard to shreds. 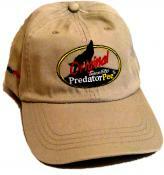 Get our Mole/VoleBlaster Combo, the ultimate mole and vole repellent. 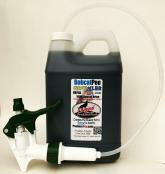 It combines our BobcatPee 16 ounce trigger mole repellent spray bottle with our BobcatPee YardCover Granules. Squirt the liquid right in the mole/vole holes and spread the granules on the surface. Browse our selection of bobcat urine for sale below. Includes a 16 ounce Bobcat Pee Spray Bottle and a 16 oz Bobcat Pee Yard Cover Shake'n Flake Granules in our Mole/Vole Blaster Combo - Save $3 over single bottle prices. Treats over 200 square ft. Shake Yard Cover Flakes on ground and mounds. Spray Bobcat Pee directly into mole holes. FREE SHIPPING! Even bigger savings when you buy multiples!